How Is a Hemoglobin Test Measured? What Is Anemia and What Are Its Symptoms? 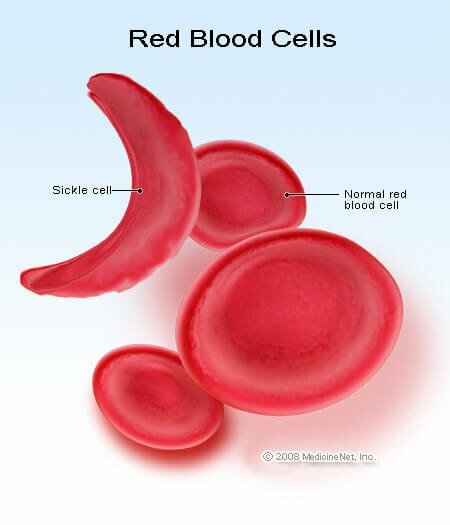 What Is Hemoglobin S for Sickle Cell Disease? Hemoglobin (sometimes abbreviated as Hb) is a complex protein found in red blood cells that contains an iron molecule. The main function of hemoglobin is to carry oxygen from the lungs to the body tissues, and to exchange the oxygen for carbon dioxide, and then carry the carbon dioxide back to the lungs and where it is exchanged for oxygen. The iron molecule in hemoglobin helps maintain the normal shape of red blood cells. Underlying causes that are responsible for the anemia often produce other symptoms that are more specific to the underlying cause. In some individuals, the spleen becomes so damaged that it needs surgical removal. Surgical removal of the spleen makes an individual more susceptible to certain diseases, most notably, pneumococcal pneumonia. Sickle cell disease is fully expressed in individuals that inherit a defective hemoglobin gene from each parent. The individual that inherits only one defective gene has much milder symptoms or no symptoms, and is considered to have sickle cell trait, not sickle cell disease. Thalassemia is a genetic disease that is caused by one or more genes that control the production of either the alpha or beta protein that make up the structure of hemoglobin. A person has alpha or beta thalassemia; these two types have many subtypes, but are usually grouped into one of two major subtypes termed thalassemia major and thalassemia minor. Individuals with alpha or beta thalassemia major inherit defective genes from both parents, while those with thalassemia minor inherit defective genes from only one parent. 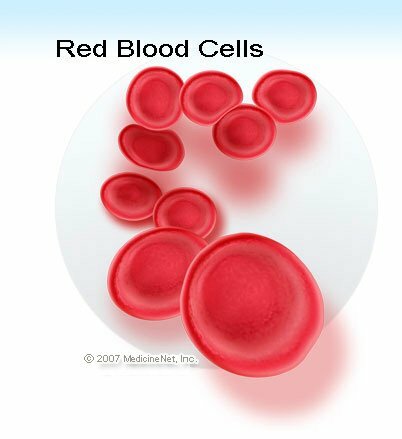 Most people with thalassemia minor may have small red blood cells, but otherwise have almost no symptoms. Unfortunately, individuals with thalassemia major usually develop severe anemia during the first year of life and can develop facial abnormalities, growth failure, fatigue, and shortness of breath. Treatment for thalassemia major is frequent blood transfusions and in some individuals, bone marrow transplants. The hemoglobin A1c test is a measure of the approximate glucose level that occurred in a person (usually a person with diabetes) over about a 3 month period by determining the person's per cent of hemoglobin A1c. Hemoglobin A1c is also known as glycated hemoglobin; it is a form of hemoglobin made upon exposure of hemoglobin in the blood stream to glucose. 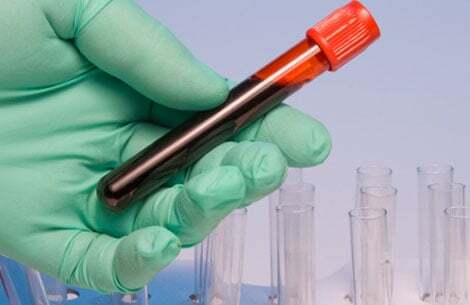 Hemoglobin A1c test is based on the fact that as blood sugar (glucose) increases, more sugar is bound to hemoglobin, and more glycated hemoglobin is formed. Hemoglobin A1c concentration is related to the average amount of glucose in the blood over about 3 months. Normal amounts of hemoglobin A1c are about 4%–5.9%. Hemoglobin A1c at 6% correlates to an average glucose level over 3 months of 135 mg/dl. Often, the recommended goal for a person with diabetes is 6.5% hemoglobin A1c (representing a glucose level of 152.5 mg/dl on average). Each 1% above 6% hemoglobin A1c represents an increase of 35 mg/dl of glucose. Consequently, detecting an 8% concentration of hemoglobin A1c would equal a glucose level of 135 plus 70, or 205 mg/dl average over 3 months. Concentrations of 8% or more indicate poor glucose control. Nabili, Siamak N. MD, MPH. "Complete Blood Count." MedicineNet.com. Updated Jan 24, 2014. Davis, Charles Patrick MD, PhD. "Hemoglobin." MedicineNet.com. Nov 4, 2015. "Hemoglobin A1c." MedicineNet.com. Updated Apr 24, 2002. What were the results of your hemoglobin test and what condition did it ultimately help diagnose? Have you been diagnosed with anemia? How did it affect you? What was the cause of your high hemoglobin reading?